CLOSEOUTS. 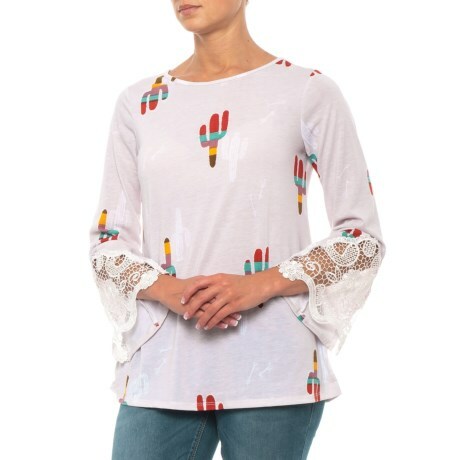 Youand#39;ll look lovely and festive in Wranglerand#39;s Colorful Cactus shirt, a colorful and comfy layer with lacey bell sleeves and a wide-cut neckline. Available Colors: MULTI. Sizes: S, M, L, XL, 2XL.